9H Ceramic Coating from £595 - 3 to 5 years paint protection. BMW i8 Coupe after my New Car Detail and application of Ceramic Coating. Ceramic Coating package's for Used / pre owned vehicles will remove light swirl marks, dull and hazy paintwork that has been damaged by poor wash techniques over the years. Stage One Paint Correction & 9H Ceramic Coating from £600 - 3 to 5 years paint protection. A Stage Two Detail is designed for used vehicles that are heavily swirled and scratched from poor wash techniques, automatic car washes and being driven daily. All of the above conditions leave your vehicle not looking its best with no depth of colour and looking dull. The two stage machine polishing detail will consist of two machine polishing stages, the first stage is a cutting stage to remove the worst of the swirls, scratches and imperfections hiding the true colour of your vehicle. 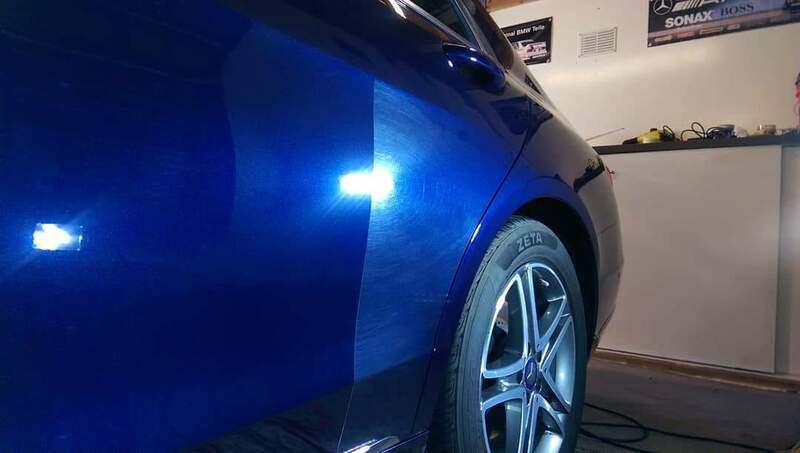 The second stage is a refining stage to remove any marks left behind from the first stage and at the same time increasing the gloss levels and clarity of your paintwork. After the machine polishing is complete the 9H ceramic coating is applied to ensure that your vehicle's paintwork is protected from 3 to 5 years. ​Stage Two Paint Correction & 9H Ceramic Coating from £695 - 3 to 5 years paint protection.